What Kind of Fish Tank do You Want? You are setting out on the freshwater side of the hobby or why else would you be here…right? This site will go though the processes to set up your best fish tank, but before we go to far into the best aquariums, lets have a quick glimpse what you may want move into. The fish, plants, equipment, tanks and management will be different for each type of system. We will discuss over the next few articles a brief overview of each type of set up and give you ideas of initial set up cost, difficultly level, space considerations and availability of species. 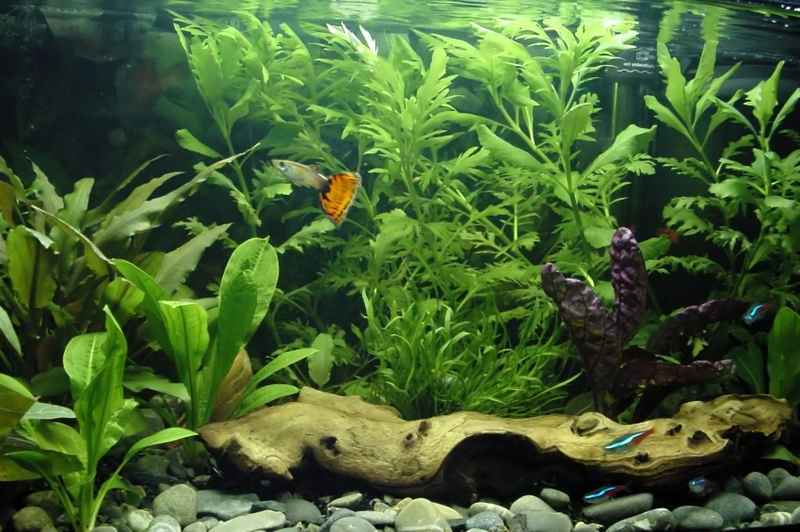 A freshwater system is not quite as expensive as a saltwater aquarium– Saltwater aquariums require additional equipment and generally larger tanks. Freshwater fish are generally cheaper than marine fish– its always better to work wth less expensive fish an buying exensice fish and lsing them. Freshwater fish are generally more ready available from most aquarium shops than the marine fish– Marine fish are more sensitive to water conditions than freshwater fish which can have a more varied water conditions and still survive. Generally freshwater fish breed more easily– you may have the opportunity to sell your fish back to your local fish shop. You can have more fish– With the same size tank you can keep more freshwater fish than you could mariine fish. Freshwater systems can come in two types either tropical or coldwater. A freshwater tropical aquarium offers huge numbers of variety for both fish and plants and will give you endless ideas for your aquarium. Most tropical fish are easy to keep and very inexpensive which is why they are ideal for the beginner hobbyist. There is plenty of ready available kits for sale at your local fish shop which will include, tank,hood,light,filter and heater but these sets will exclude fish,plants and gravel but can be brought seperately. These fish will come from colder waters than there tropical cousins, kits can be brought much alike the tropical kit, but they will not have any heater. 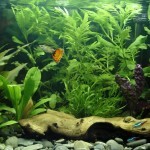 Tanks or ponds will need to be larger as the fish are largr and consume more oxygen. When keeping freshwater coldwater aquariums the room temperature they are kept in is important, as a warm room will heat up the tank. Generally getting fish for this setup is difficult except for goldfishsoyou may have to source though the internet to find the fish you want.